What kind of inferiority complexes are there in students? Actually it is a disease and is found commonly in youth who have just joined college. They suffer from a strange fear and is an obstacle in their life. 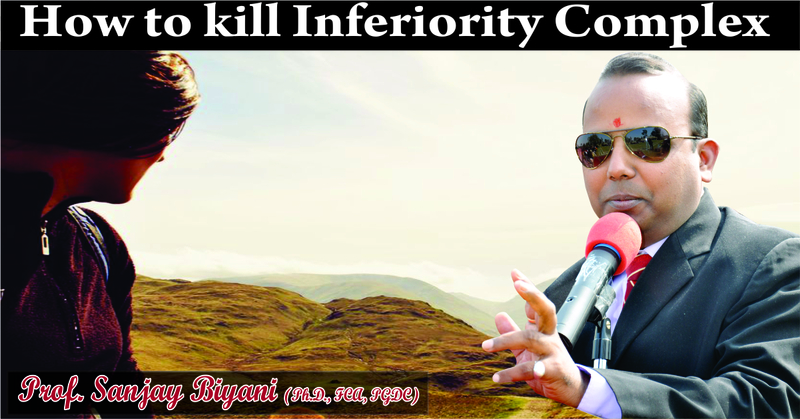 A person suffering from inferiority complex always focuses on his/her weakness but never count his/ her strength. In my book “Positive Thinking” I have discussed how in how inferiority complex is a disease and how it hampers a person’s growth. How can we overcome this complex? God has blessed everybody with some unique qualities. Some can run very fast, study and understand things very easily but some can’t do the same. Due to such things people grow with inferiority complexes and it haunts them for the entire life. What is the basic reason a child or a person focus more on negativity? Its human nature, they prefer to stay in a comfort zone. With time person grows with a fear that what people will think about them. Therefore, they try to hide themselves and prefer to stay aloof. Due to all this the whole energy of a person is focused and utilized on this complex, that how and when people will judge them. First is a person should accept his inferiority complex and should spend their rest of their life with that. Unfortunately, there are 90% people falling in this category. Second category is of the remaining 10% people who with their hard work, dedication and strong determination overcome their inferiority complexes and learn to excel. That’s why some are not blessed with good voice but are very creative in other ways. How one can raise oneself to that level where they can achieve the goal that they want to and actually deserve to attain? I always quote in seminars and discussion one of my thought that, “Only those can win who actually feel that they can win”. The day a person starts focusing his qualities and strengths his attention towards inferiority complex is automatically diverted and they no more suffer due to it. I would like to advise all youngsters that god has blessed them with some unique qualities and traits. They should try to realize them and utilize them in strengthening their personalities and overcoming inferiority complexes. As it blocks energy therefore, we should try to build our superiority power in ourselves. As a counseling expert you might have identified reasons for inferiority complexes in students. Actually what are the main reasons for inferiority complexes in students? The main pressure on students is of scoring maximum and attaining first rank in the class. We know practically that is not possible as out of many only one student can top in the class and due to which automatically other students will suffer from inferiority complexes. Actually, this is a matter to be reconsidered by the education system as how can scoring in an exam depict a student’s excellence or strength in a specific subject. It is an innate capacity of each student to learn or use logical reasoning. 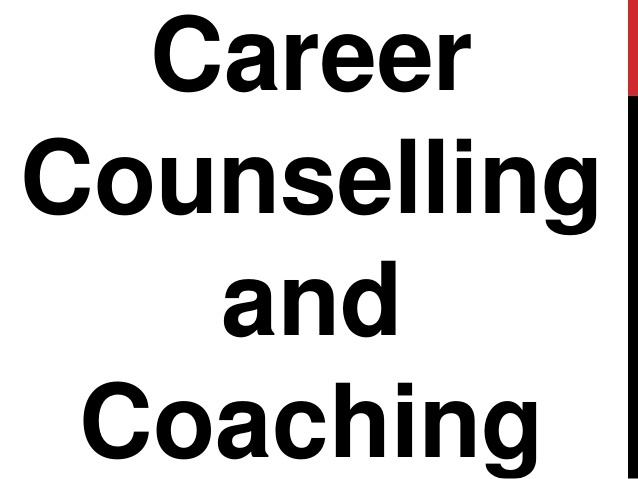 Therefore, students have to be very conscious while choosing for career courses, keeping in view their strengths and interests. And if students really follow it then they can attain success in all ways. What will be your advice for students for dealing with inferiority complexes and who can be the best influence for students in realizing that they should not rate themselves inferior than others? For both parents and teachers the students should have complete trust. The students have to devote themselves completely to both parents and teachers to learn in an effective and efficient way. A person can realize their strength after that only they can be successful. Specifically girls have to realize their power and strength so that they can prove their worth and make remarkable place in society. The word “Karma” has been in our holy books and is considered to be the most powerful law in the whole universe. We all pray to Lord Ganesha, to start our day or new work. Lord Ganesha actually explains or signifies the law of karma. The right hand of Lord Ganesha is in the position of performing an action and left hand reflects reaction. Therefore, Law of Karma is somehow performing actions without attaching our self with its outcomes or reactions. How can we relate Law of Karma in career and what is its role in shaping career? Our youth usually can’t focus on work for long duration of time and hence often gives up easily. Therefore, they need to be taught the importance of this law and how to implement it in shaping their successful life and career. We can make our career successful by applying law of karma. Elaborate the statement? Any student appearing for exams focuses his 50% energy on results. Therefore, his actions are half dissolved with the tension about the reaction or results of his performance, because of his attachment with action reaction chain. For example, while watching 20-20 cricket mostly people get excited when their favorite team or player scores well and feel disappointed when their teams loses wicket. So, they should only enjoy good game and should not get attached to any specific team or player. This way they can enjoy their time, game and hence can enhance their energy. But unfortunately, we all focus on results and gets disappointed whenever they are not as per our expectations. We should accept and adopt Law of Karma as narrated by Lord Krishna, which states that, we have to get detached with the results and keep doing the needful action consistently. We have to make our actions as our true religion and then that attitude can help us in attaining internal peace and satisfaction. How one can perform action in right direction? Whenever we start any work, it should be started with complete faith and hope that we will be successful as we are the powerful creation of god, blessed with intellect, heart, emotions and courage to do anything. So, we should start any work we do with positive attitude, belief and hope. Also at the same time following the right direction according to one’s interest and doing action consistently is also very important. The luck factor is against law of Karma. It has never been prescribed in any inscriptions of any religion that one should focus on luck only. A person who has adopted law of karma completely will be successful and will always lead towards their goals effectively. Being a counselor you must have interacted with many people, what do you think how many people actually believe and apply law of karma? Usually everybody believes in destiny than on law of karma. It s a universal truth that whatever action we do on this earth will bear its reaction for sure. Like if we plant a tree or cut a tree both ways the action will be followed by a reaction definitely. There is no such action in this universe which is not followed by a specific reaction. Ma Karma Phala Hetur Bhurmatey Sangostva Akarmani”. That means that we have the right to perform our actions, but we are not entitled to the fruits of the actions. Also, we don’t have to let the fruit be the purpose of our actions, and therefore we won’t be attached to not doing our duty. Therefore, the awareness has to be created within us for inculcating the law of karma in our lives. What is the best way of overcoming the habit of blaming luck for every failure? The only best way is to accept karma as the true religion, follow a right direction and keep doing the requisite action. I believe we can extract water from the desert if we believe that we can do it. Failure should never be denied as it comes with some learning experience. This learning is actually living life in true manner. 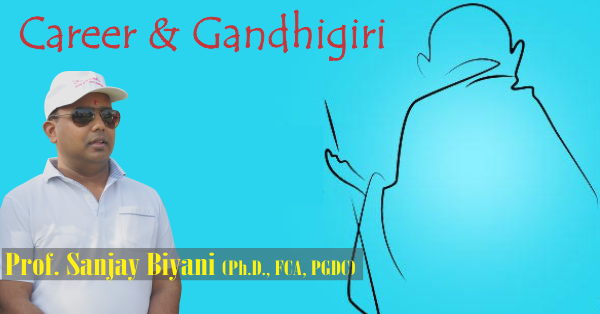 How Gandhigiri can be related to Career? I think only bookish knowledge is not a complete education. If someone asks me what education is, then I will say that in the ocean of knowledge, education is just a drop. Education is not to become an Engineer, doctor or a CA, but it is different as it is the development of overall personality. According to Gandhiji we should never see speak or listen bad things but in terms of career how such things can be implied? Actually Gandhiji doesn’t mean that we should totally discard bad things but what he meant was that to increase or enhance good things. The influence of bad is reduced when it is overcome by things. If you have to make a choice between positive & negative we should chose positive things because whatever we think more actually happens in reality. That’s why we should think & act positively. How Gandhiji’s journey from a common man to Mahatma can influence a student in shaping his career? Gandhiji had all experiences which a common man would have in his life. Gandhiji transformed because of his changed company of people, literature and surroundings. In jail Gandhiji read one chapter of Bhagwad Gita daily and wrote its interpretations in his dairy and hence applied it altogether. Hence, the personality of Gandhiji was thoroughly changed & transformed. So, our students should firstly check their company and then if needed should change it. Hence our youth can be successful if they improve their self with improved people. Which message from Gandhiji’s life will you give to youths for staying away from bad people?  Accept truth in all ways. Now a day’s youth are engulfed in the bad habit of being deceitful. Our youth should learn to accept truth and apply it in life and hence then they can have good career. What is your opinion about Women Empowerment? We are from a country of 130 crore population, where half of the men and women make the major part of the population. Till now the human resource in our country has not been explored. There is a tremendous scope in women empowerment to explore the huge human resource and to enhance it as it will ultimately lead to the success of the nation. I would like to convey all parents that their heart is going to be healthy forever if they have daughters because only daughters are capable enough to understand emotions & feelings. List some weakness in female which actually make the lag in society & how to overcome them? I will explain first the weakness of males, they have ego problem a lot which leads to anger, frustration, improper decision making & ultimately to brain hemorrhage. If males have to overcome this problem they have to replace ego with humbleness. In females, they have a weakness of jealousy, which hampers their emotional strength and I feel this should be overcome and hence they can excel in life. In the coming time how much future prospectus will grow for females and how they need to prepare for it? Females have strong dedication for any work whichever is assigned to them. Fields like hospitals, aviation, hotels, educational institutes etc. need ample amount of dedication and hence women can excel there very well. There are similarly many more fields where women can prove their worth. What should be the real empowerment of women? Today also females are exploited. Newly married girls are not treated well and are dominated by in laws because she is dependent on them. She has to compromise for everything & hence can’t take decisions. I think if a female is financially independent then she can be empowered in reality. Therefore, we would like to convey it to all parents that if you want to give your daughter something, give her good professional education and encourage her to be financially independent. I would like to request all fathers that don’t make your daughter like a moon so that people stare her continuously but make her like a sun so that anybody who dares to stare will blink and won’t be able to stare her. That means empower her with knowledge & make her financially independent, so that people will not dare to mistreat them. 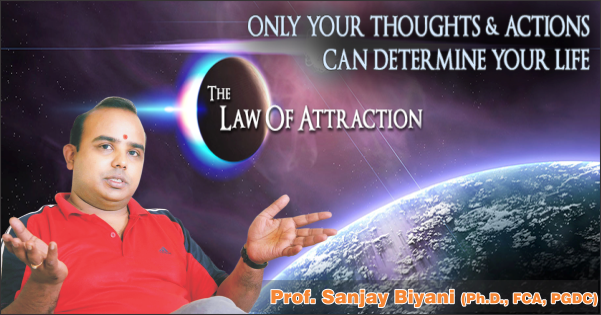 प्र.1 Law of attraction की थ्योरी क्या है? प्र.2 क्या Law of attraction की थ्योरी वैज्ञानिक है या सिर्फ मानसिकता बदलने अथवा सकारात्मकता लाने का एक जरिया मात्र है? प्र.3 करियर में ये थ्योरी कैसे इम्पीलमेंट होती है ? और ये पूरी प्रक्रिया कैसे काम करती है? प्र.4 क्या इस थ्योरी का कोर्इ व्यकितगत अनुभव या कोर्इ उदाहरण है, जो आपके साथ हुआ हो या आपने होते देखा हो ? प्र.5अगर यूथ इस ला को अपनाना चाहे तो इसे कैसे प्रयोग करना चाहिए कि उन्हें इसके जरिये कामयाबी मिले? प्र.6 हम अपने जीवन में कर्इ कुछ चीजों को लेकर बहुत कल्पना करते हैं लेकिन उसे प्राप्त नहीं कर पाते। क्या कुछ ऐसी चीजें भी हैं जो हमें नही करनी चाहिए? प्र.1	करियर काउन्सलिंग व कोचिंग का क्या अर्थ है? क्या ये दोनों चीजें एक हैं या एक-दूसरे से अलग हैं? प्र.2	करियर काउन्सलिंग व कोचिंग देानों में से अधिक महत्वपूर्ण कौन है ? प्र.3	आपने बताया कि करियर कोचिंग बहुत ही लम्बी प्रक्रिया है तो इस प्रक्रिया में कोर्इ एक कोच हमें भविष्य के सम्बन्ध में मार्गदर्शन देते हैं या एक से अधिक कोच हमें सलाह देने के लिये उपलब्ध होते हैं? प्र.4	जब विधार्थी भ्रमित होते हैं तो सलाह मांगने काउन्सलर के पास जाते हैं लेकिन जब विधार्थी खुद ही कोच हैं तो भ्रम क्यों? प्र.5	एक संदेह हमेषा विधार्थियों के मन में रहता है कि उन्हें कौनसा विकल्प चयन करना चाहिए और वरन पूरी प्रक्रिया में अपने कौशल को व खुद को पहचानना भी उतना ही महत्वपूर्ण है लेकिन खुद के कौषल को लेकर ही यूथ में जो संदेह उन्हें वे कैसे दूर करें? प्र.6	जैसे कि आपने बताया कि करियर कोचिंग एक लम्बी प्रक्रिया है तो इसे न्यूनतम किस आयु से शुरू कर दिया जाना चाहिए कि हम समय रहते श्रेष्ठ निर्णय ले सकें? प्र.7	करियर कोचिंग प्रक्रिया की षुरुआत कहाँ से व कैसे होनी चाहिए? कैसे यूथ अपने कोच को पहचाने, अपने कौषल को पहचाने? तथा इसके लिए कौनसी प्रक्रिया अपनाये ? What is desire and passion? Desire is the seed for everything which we see around. It is a very powerful thing. But I believe this desire is an external element and not internal. The inner voice or inner element is our passion. For example, if a child watches a movie and aspires to be an actor, this feel is external and hence is desire. Usually, we don’t get what we desire but get what we are actually i.e. what is our passion. The key component of everything is belief. And the belief is shattered due to wrong selection. As one opted for something inappropriate and hence people discard the same and beliefs are shattered, due to which people make compromises. If you want that your belief and confidence should be protected then one must have firm passion and find their own inner strengths and interest. When we have many options then how to make correct selection? In simple words, there are two words attraction and love. Attraction is what we get outside, externally and love is what we fill from inside. Like one likes computers but also gets influenced by seeing people performing and dancing on television, then one has to find out they have neither given any performance on stage nor in front of friends. Also if have performed, then it might not have been so effective. Then I suggest they should follow each & every small step, take peoples feedback, especially teachers & parents. Also should evaluate does this thing is what I want to be or I am fascinated with some temporary influences. It’s a very this line of demarcation between attraction & love and often people make wrong decisions by not recognizing their love and attractions. Will it be right to evaluate our self first for all the options that we are thinking for us? Absolutely, unless you will not explore yourself and keep getting influenced from outside till then you won’t be able to take right decision. Others get influenced by the actual strength of a person and not by any outer influence. Is any personal experience of your own or you have seen somebody has taken a decision in confusion and later repented the same? I have seen many cases of students who visited college for BBA or any other course and later realized interest in dancing etc and loft the course and switched to other course and later unfortunately they failed as they lost both course because may just followed their desire without putting the requisite hard work for it. Advises for youngster for making their belief? Youngsters differ in their beliefs. Some are very confident & some are very depressed. For e.g. – if you take a wrong decision and so you are rejected then your belief will be shattered. I think belief is formed when cause & effect relationship are mixed. Like you did some work, succeeded and your confidence is boosted. Confidence is not built by lecture, decisions and knowledge but is made out of experience & real life situations. How to take good decision in students and parent’s perspective? Success is not what we wanted to be. Success is what we did and enjoyed doing it and learn from it. I think we need to redefine success. As whenever we assume or link success with a target we become depress as the governing factor becomes someone else. Actually, the governing factor for our success is we alone if you are enjoying your work then you are on right track. If you want to realize your passion don’t make such external governing factors as supreme target to evaluate you & your performance. Make your experience & real life experience also the base for exploring your passion. If you are interested, passionate and can understand your inner voice then it is possible to be successful.